What Are Polystyrene Balls And How Are They Used? To make polystyrene balls, tiny polymer molecules are infused with air to increase their size. These polymers are derived from petroleum by-products through a distillation and refining process. After they have been infused with air, the balls can either be joined together to form larger beads or moulded into different products such as foam building insulation or food packaging. The polymers start off as molecules measuring only 0.02 inches (0.5 mm) in diameter. They are then put through a steam process that infuses air into the molecule and turns it into a larger polystyrene bead. If the beads are then placed into a mould or extruded through a die, they can be formed together to make much larger products. A big advantage of polystyrene balls is that they are very lightweight, strong and durable. The most popular applications they are used for include acting as filler for pillows, cushions, beanbag chairs, pet beds, stuffed toys and animals. They can also be moulded or extruded to make product packaging such as the hard foam casing that is often used to protect electronic equipment. Other popular uses include disposable cups and plates, fast food containers for takeaway restaurants and when they are formed into dense sheets of foam they can also be used to insulate buildings. 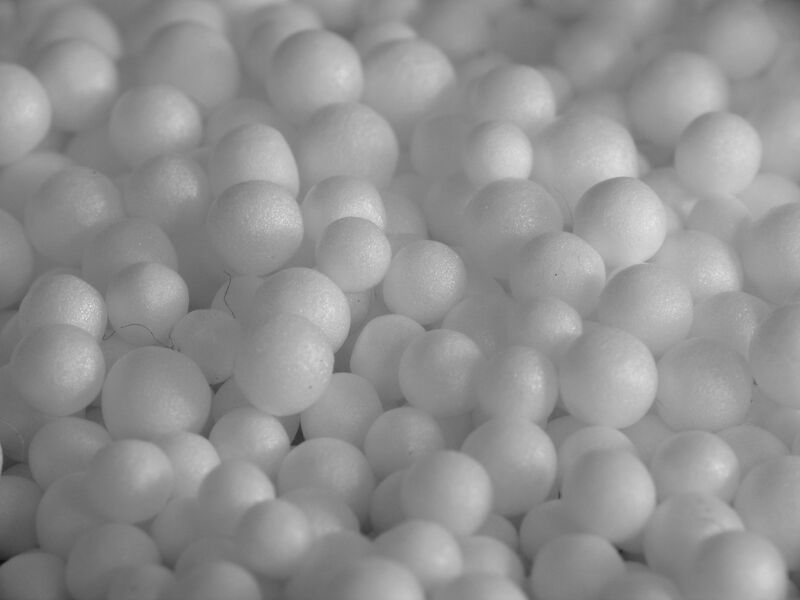 Polystyrene balls acts as very effective wall cavity insulation in buildings. They provide excellent insulation and make the building more energy efficient. This helps to keep energy costs down and is an eco-friendly choice because it saves on fossil fuels. In addition to being lightweight, strong and durable, polystyrene balls are also well known for being moisture resistant, compression resistance, shock absorbency and its thermal properties. Polystyrene balls are very versatile so to find out more about how they can be used as a packaging solution please contact Vertapak now and speak to one of our specialist team.